Unless something is done about the alien threat, mankind won’t last much longer, gigantic creatures hellbent on our total annihilation and all. But hey, we have mechs at our disposal, and you, the player, leading them – so why fear a bunch of pesky invaders, right? Why indeed. Oh, and keep in mind that time travel is a thing, as you venture… Into the Breach! That’s not to say you’ll be able to travel backwards to fix past mistakes in this turn-based tactical affair, although something similar will be possible. See, should you fall in battle, simply “send help back through time to save another timeline”, as the developer puts it. Rather odd way to go about it if you ask me, but I suppose… so long as one timeline is saved, right? RIGHT? Right. Still not sure just how awesome such a victory would be, after failing to save who knows how many other, but let’s go with it for now. The remnants of human civilization are threatened by gigantic creatures breeding beneath the earth. 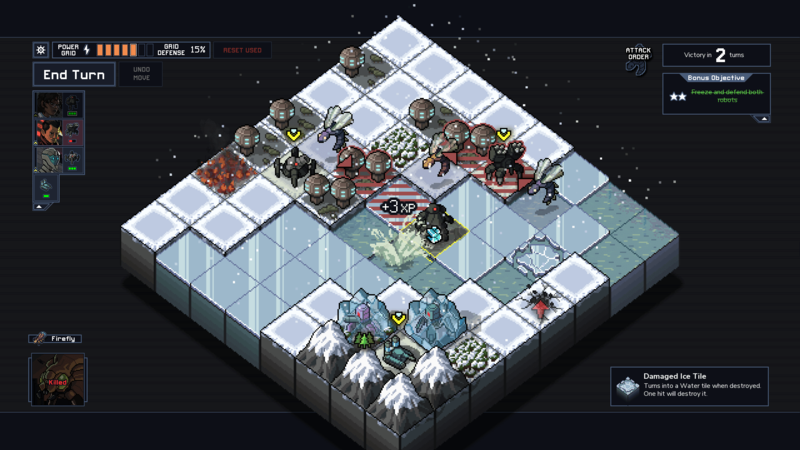 You must control powerful mechs from the future to hold off this alien threat. Now, a strategy title like this, complete with destructable terrain, time travel (more or less), mechs, and what I suspect is a significan amount of depth and replayability – would it surprise you to find out that such a beast comes from the people behind FTL: Faster Than Light? Probably not. It really shouldn’t at least. I mean, you’ve seen what they’re capable of with that game, making Into the Breach less of a leap than had I claimed it came from the minds of a brand new developer. Anyway, thing is, this gem of a game is actually not far from release – as you can tell from the bit below – and I don’t know about you, but I am looking forward to playing through it… one turn at a time. Live long and prosper, mankind! Into the Breach will be available on Steam, GOG.com and Humble, come February 27, 2018.